Are you having a bad night sleep? Do you wake up feeling tired? Does your neck and back hurt in the morning? If your answer was “yes” to one of these questions, it’s a sign that you need an orthopedic pillow. Beside owning the right orthopedic mattress, pillows are the most important item in your bed because these will help you relax after a long day and fall sleep faster. With the right pillow, a lot of the sleeping issues relating to the head, neck, and upper body can become better. Orthopedic pillows are designed to properly position your body and head while in bed lying down. They provide essential support to the neck cervical vertebrae and the appropriate angle to prevent any awkward positions that can induce pain. 2 Which Orthopedic Pillow Should I Go With? 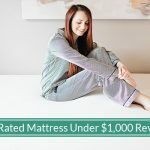 This brand has decades of experience in the memory foam pillow and mattress industry, so you can be sure they care for your healthy and better night’s sleep, especially since it’s a product you will use in a daily basis. 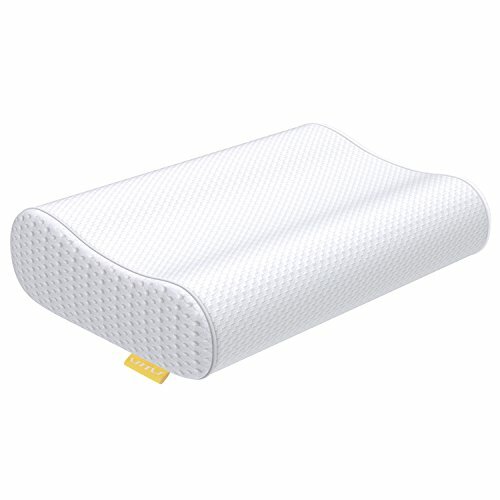 It has non-temperature high-tech memory foam that neither becomes too hard in cold weather nor too soft in hot environment, giving you great comfort every night. 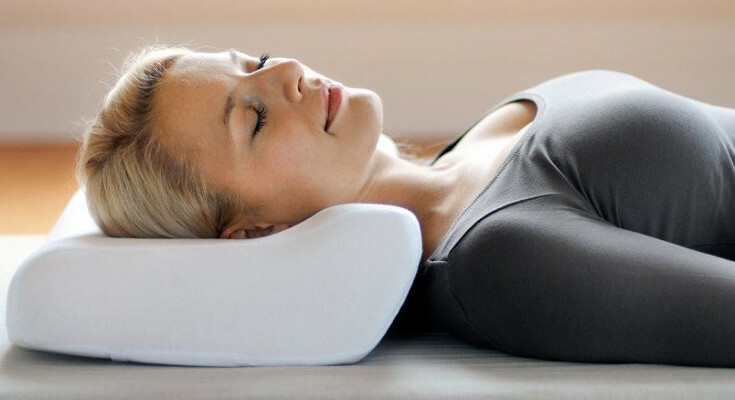 The Tampor pillow offers neck support and reduces neck and shoulder pain. It’s perfect for side sleepers because it fills the distance between your head and the outside part of the shoulder; it also reduces snoring because it makes breathing smooth. And it has a 5 year quality warranty (guaranteed it will not go flat). The pillow protector is hypoallergenic and dust mite resistant, which is great for people with allergies. “I bought this pillow after another night of waking up with neck and back pain. I should have bought it much earlier. It stay’s firm and does not deflate overnight” said Emilymc527 from Amazon.com. Some users said that it has some odor, but the pillow has a removable case and is machine washable. The contour V version is also a great choice. It helps balance your head in the contour and prevent it from rolling your neck into an uncomfortable position. The Nature’s Guest Pillow is ideal for back sleepers and individuals who shift from back to side sleeping, because the gusseted edge design ensures stable and optimal neck support. The results are a more restful and peaceful sleep. Nature’s Guest pillow is premium quality, hypoallergenic and made with 100% all natural materials, which is good for you and the environment. 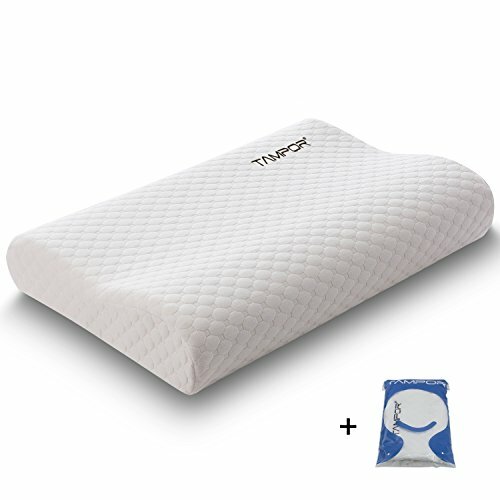 Dawn Pacheco made a review on Amazon.com saying “It’s the most comfortable pillow I’ve slept on in years and I find myself sleeping longer through the night”. The price is higher than other products but this one is recommended by chiropractic and orthopedic doctors, because it includes a built-in neck roll cushion that provides optimal cervical support while sleeping. Also, it’s totally adjustable from soft to medium firmness. The Sleep Innovations Pillow is one of the more popular pillows on the market with its affordable price and classic yet effective pressure relieve design. It relieves neck, shoulder and back pain by allowing muscles to relax, and promotes proper spinal alignment. With the technology SureTemp Memory Foam, the Sleep Innovations pillow retains the shape for continued support throughout the night. 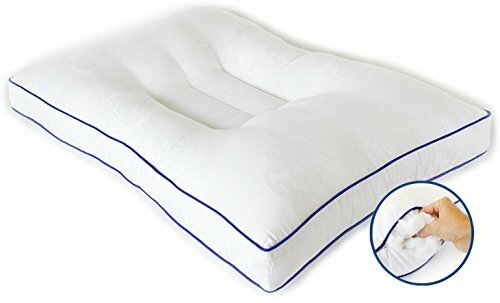 In Amazon.com, JKI have some nice things to say: “Sleep Innovations pillow works great. My head never sinks too far down into the pillow, so there’s always enough space between my head and my shoulder to keep my neck free of stiffness and soreness”. It could had some “fresh foam” smell but it is not harmful; in 72 hours it should be gone and if you want to help for it to go away, we recommend to spray lightly with a air freshener. It comes in two sizes: standard and queen. 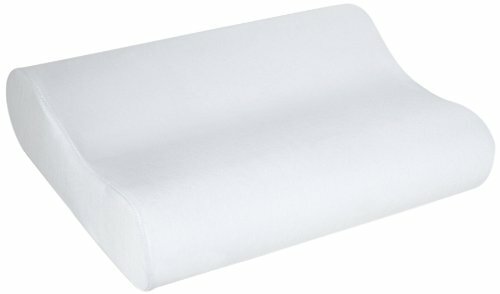 Which Orthopedic Pillow Should I Go With? Pick one according to your sleeping position. Depending on which position you sleep the most frequently in, you will want a pillow with an complementary thickness. To be specific, if you sleep on your side, you want a pillow as thick as one shoulder’s width to support your head without straining the sides of your neck. If you sleep on your back or belly, then you want a thinner pillow to avoid elevating your head too much. Is it just for your head and neck, or do you need something for your back, hips, or legs? Some readers might be searching for a pillow to use for other parts of their body. For example, you may need to alleviate pressure on your back from back pain so you want a pillow that is firm and thin to go under your lower back. You may also want to place an orthopedic pillow between your knees to alleviate hip pain, thus want a pillow that is 2-3 inches thick. Having trouble with neck pain? Maybe your cervical vertebrae is doing too much and your pillow is doing too little. 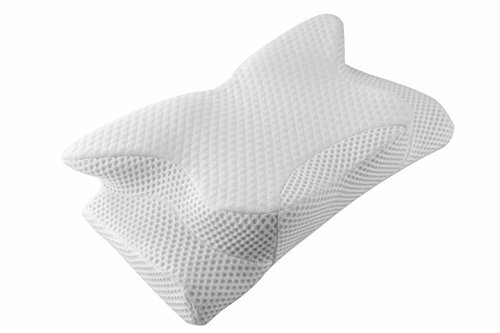 Check our our guide on cervical pillows as well for better neck support during sleep. Are you suffering from muscular pain? If you have a muscle strain, memory foam or latex pillows can help alleviate pressure. They do an excellent job at absorbing motion and cushioning weight so that your muscles don’t have to. Use it if you have a coccyx injury. The damage in this area can be extremely painful and may cause you from stopping your routine. We’re no doctors, so we can’t provide medical advice. 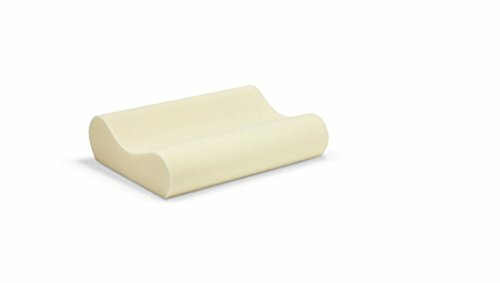 However, we have heard that a “coccyx cushion” orthopedic pillow can be a solution. Are you pregnant or taking care of a baby? Orthopedic pillows can help with alleviate the extra weight of having a baby and taking care of one. We wrote a separate guide on pregnancy pillows that might help you better than this orthopedic pillow guide. The difference between the two pillows is that pregnancy pillows can help with tiring arms, uncomfortably belly, and upper or lower back pains from pregnancy. They can also make great, lengthy cuddle pillows for those lonely nights! However, orthopedic pillows can do just as good of a job at better prices. Check out both! 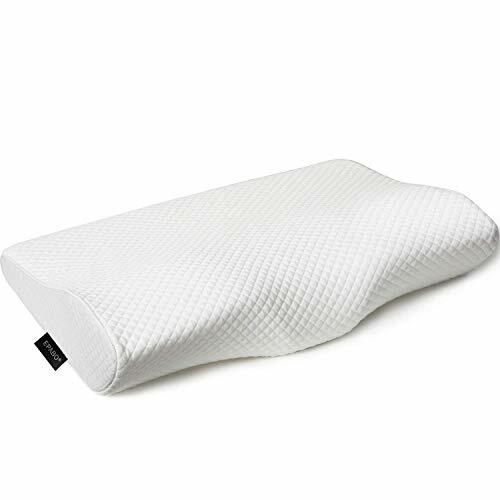 Having an orthopedic pillow will be a huge help for some of those night pains and in the morning you will feel well rested and fresh. Be sure to know your sleeping habits and problems, so you can find the right pillow and find comfort in your nights. Remember that there are pillows according to your sleeping position (back lying, stomach lying or side sleeper), and for the kind of pain that you’re having (back, neck, shoulders, knees, etc.). Our top recommendation is the Tampor Pillow, because it’s perfect for side sleepers by filling the distance between the head and the outside of the shoulder, reducing the pain in these areas. In addition, it reduces snoring because makes breathing smooth.